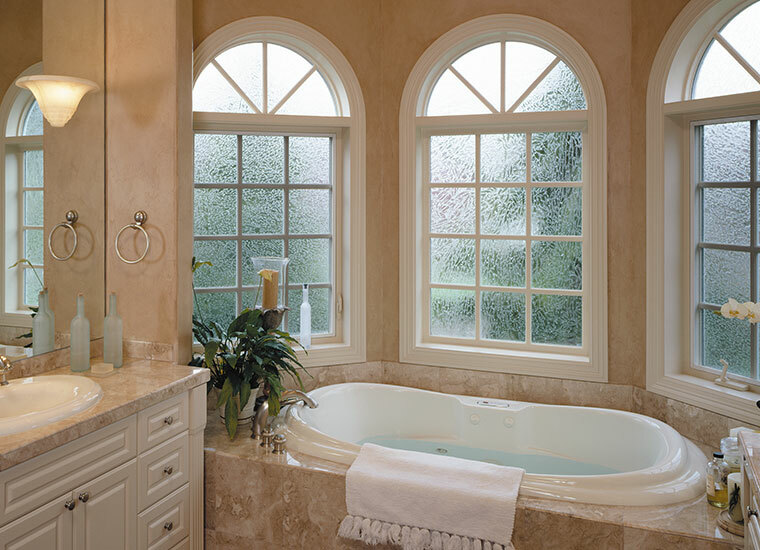 Fiberglass Windows - River Valley Window Co. Most energy efficient daylighting products available. Imagine the home of your dreams. You’ve thought about it many times – warm rooms full of light and life. Maybe there’s a master bedroom just waiting for the window to capture the perfect sunset view. Or a cheery kitchen that needs a bay window to let the sunshine stream into the breakfast nook on a relaxed Sunday morning. This is your chance to make your dreams real. Big or small homes, new or remodeled, classic or contemporary, Milgard Ultra™ fiberglass windows and doors add impact and value to your home. The dimensional stability of Ultra™ Series make it a popular choice for high humidity and high heat environments, such as bathrooms and kitchens. We build our windows and doors to last. With the dedication to quality that we put into building the best windows in the business, it wouldn’t make sense to back them with anything but the best warranty in the business. That’s why we back every properly installed window and door for as long as you own your home–including parts and labor. 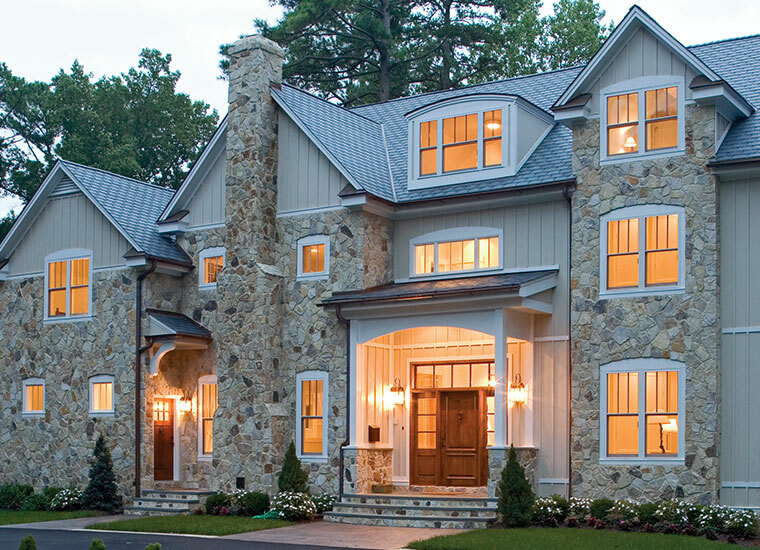 Beautiful to look at —- with little upkeep required, Ultra™ Series fiberglass windows are built to last. Through a careful design process, Milgard introduces a window more resistant to heat, bugs and rot to help withstand the harsher sides of Mother Nature. A WoodClad™ Series option offers the warmth of a wood veneer interior. The dimensional stability of Ultra™ Series fiberglass windows make it a popular choice for high humidity and high heat environments, such as bathrooms and kitchens. One of the toughest windows you can find. Ultra – as the name implies – was designed to be the ultimate in window and door frame material. 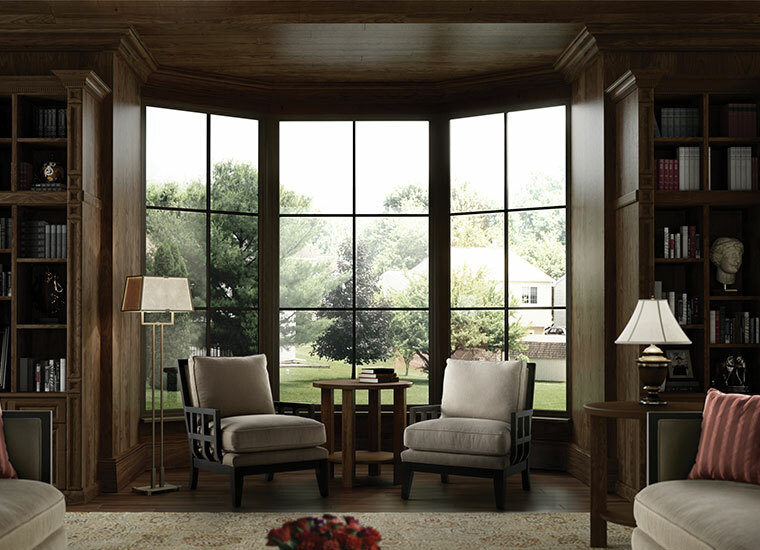 Ultra combines the benefits of fiberglass with the style of traditional wood windows. 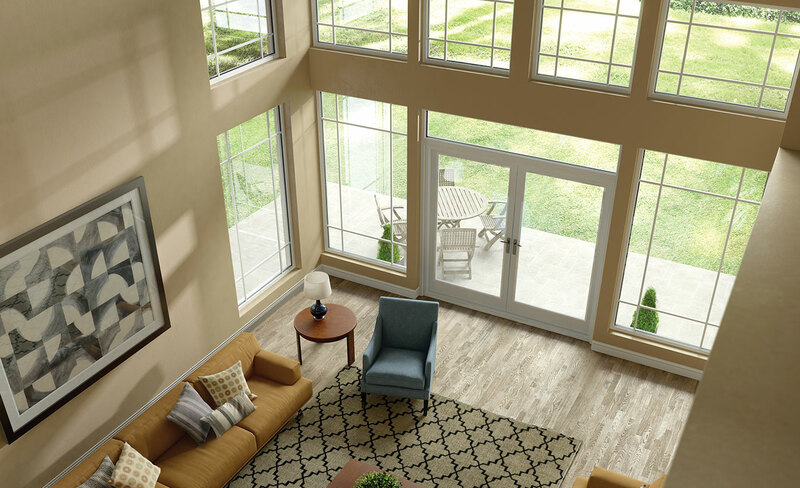 When you first look at a Milgard Ultra Series window, you might think that it’s painted wood. That’s no coincidence. In fact, the window was designed to match the beauty and profile of a wood window product, while avoiding the maintenance issues that wood windows face. For appearance and performance, Ultra Series Fiberglass Windows offers an upscale look that will complement any home. Its baked-on paint finish won’t peel or eggshell, unlike a painted wood finish. One of the toughest windows you can find, Ultra Series Fiberglass Windows will make a wonderful addition to your home. Maintains their beauty through every season. The strength of fiberglass protects your investment from the harsher side of Mother Nature. Because of its inherent properties, fiberglass won’t swell like wood and it expands and contracts at the same minimal rate as glass. Fiberglass won’t crack, peel, warp, split, pit, or corrode and is virtually impervious to water. Our fiberglass doors are available with your choice of baked-on standard colors for a finish that protects against UV rays. 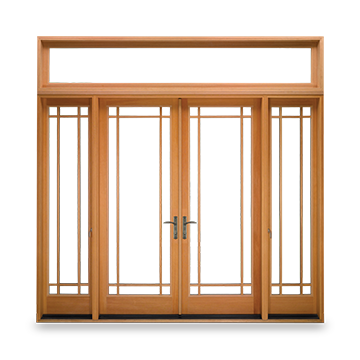 Ultra & WoodClad patio doors come in sliding, in-swing or out-swing styles and built to your specifications with panels, transoms, or sidelites. Choose from a variety of hardware and virtually endless grid options. 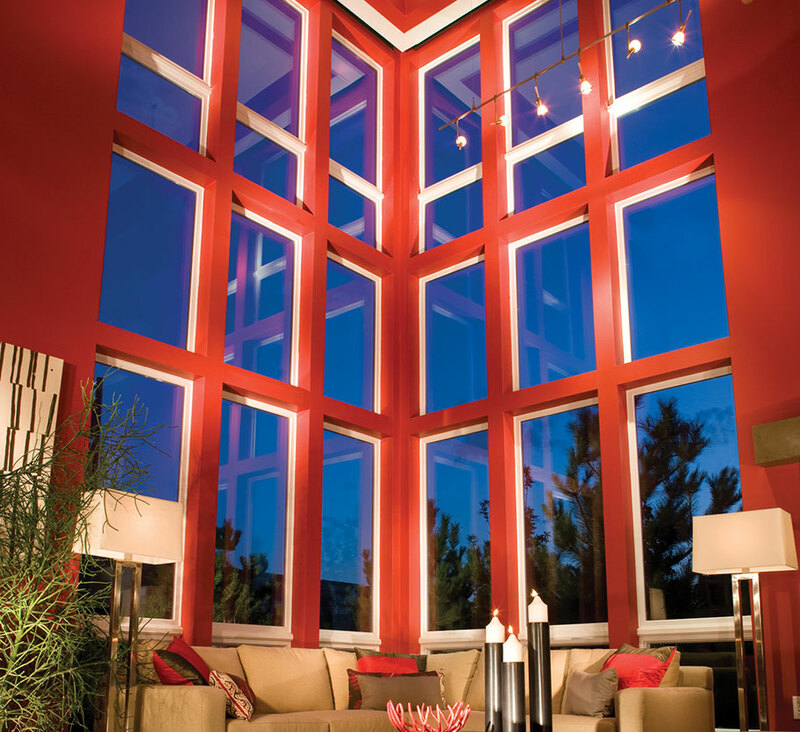 Milgard Ultra™ & WoodClad™ Series fiberglass window frames come in a palette of rich, designer colors. From warm ‘harmony’ to bold ‘black bean’, get inspired with all the possibilities. Add warmth with a Clear Vertical Grain Douglas Fir veneer option on WoodClad™ Series windows.